Fairfield Inn and Suites Salt Lake City Downtown, Review | No Mas Coach! Marriott has a ton of properties in the Salt Lake City area, not surprising given the large Mormon population in SLC and the company being founded by a Mormon. 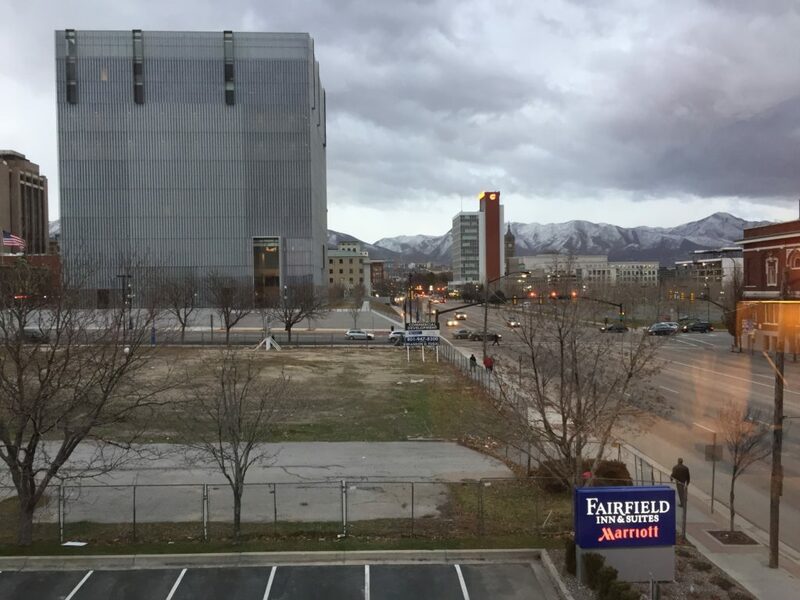 We had a one night overnight before our trip out to Park City and the Fairfield Inn Salt Lake City Downtown seemed like a perfect option for a quick overnight stay. Since we have a plethora of Marriott points, we decided to go for the lowest priced one in the area, and at 15,000 points a night it seemed like a steal. It’s just a quick 12 minute LYFT from the airport to the hotel for around $11. When we arrived we were cheerfully greeted by the staff who recognized our Platinum status right away and informed us that we had been upgraded to a suite, which we happily accepted. Two minutes later and we were on our way upstairs. Upon entering room 301 immediately on your right is the sink/microwave combo and a work desk with TV. I’ve mentioned before that I don’t like it when the desk is facing the wall with the TV right next to your face. I’d much rather the TV be on the wall or positioned differently. 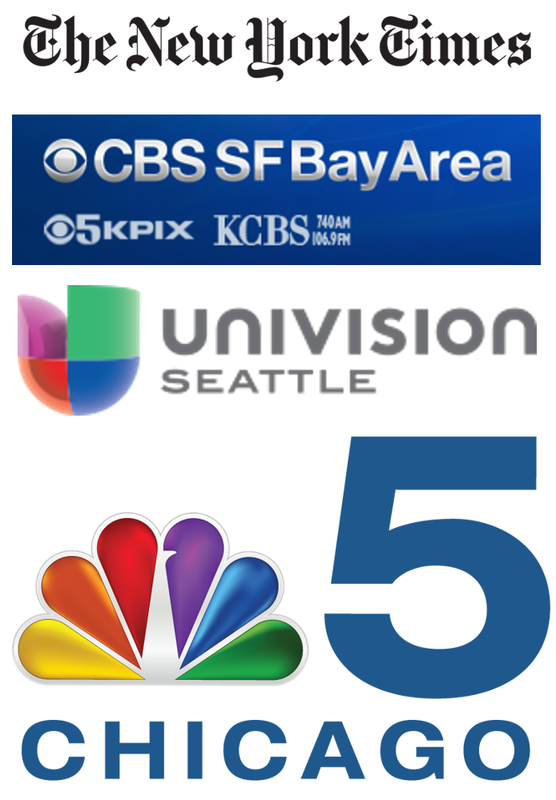 One thing that made this TV a bit different is that you could connect with your Netflix/Hulu/Pandora accounts and watch your own programming instead of relying on the TV stations. I can imagine more hotels going this route as people become more connected with programs such as these. Off to the left was the standard Fairfield sofa and end tables. And a tiny hallway led to to the bathroom/shower. There was also a small balcony for you to relax when the weather gets a bit nicer. Even though we reserved a King bed, it came to no surprise that at check in we were switched to two beds. Usually we only reserve two beds when we travel outside of the USA, but I suppose for next time we go to Salt Lake, I’ll assume that two men together always means two beds. The beds were comfortable though, I’ll give them that. We headed out of the hotel to get some dinner at a local Moroccan restaurant only to come back to find that the hotel was out of power. It should also be noted that they were the ONLY hotel that lost power. There was a snow storm in the area but for some reason, all the other downtown buildings had power. Obviously, we can’t stay in a hotel with no power, so we checked out and moved ourselves over to the Residence Inn. They didn’t want to check us out, claiming that this was an Act of God and they couldn’t be held responsible, even though no other hotel was affected by God, AND I’m pretty sure that sleeping in a hotel with no heat and no power is not acceptable by anyone’s standards. We’ll have a post on that in the near future, but rest assured, we didn’t end up staying there, and the hotel did walk us to a new hotel. Assuming that you’re looking for a hotel with no frills and a comfortable bed at a decent price, the Fairfield is the place to be. I’m sure that had the hotel not lost power, we would have had a perfectly fine stay, but the experience was slightly tainted, to say the least. Does anyone else have any recommendations for a hotel in Salt Lake City for our next visit?